The winner will be announced later this month at AutoMobility LA and it will come from one of the five finalists for the 2017 Green Car of the Year that were revealed earlier today. AutoMobility LA (the event formerly known as media days at the LA Auto Show) kicks off auto show season here in the U.S. It also marks the beginning of the annual round of automotive awards. 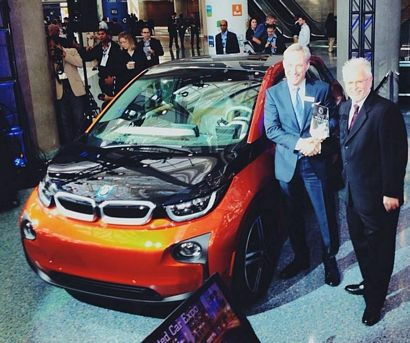 In the case of LA, that would be Green Car Journal's (GCJ) Green Car of the Year award, a relative newcomer, which is bestowed during the final day of press conferences at the show. This award was, in fact, established only 11 years ago. Past winners include the Mercury Mariner Hybrid in 2006, the Toyota Camry Hybrid in 2007, the Chevrolet Tahoe Hybrid in 2008, the Volkswagen Jetta TDI in 2009 (rescinded by GCJ and returned by VW in 2015), the Audi A3 TDI in 2010 (also rescinded by GCJ and returned by Audi in 2015), the Chevrolet Volt in 2011, the Honda Civic CNG in 2012, the Ford Fusion in 2013, the Honda Accord in 2014, and the BMW i3 in 2015, while the all-new Chevrolet Volt came away with the honor for the 2016 model year. Leading up to the announcement of finalists, GCJ's editors consider all vehicles, fuels and technologies. The vehicles on the final's list are selected "for their achievements in raising the bar in environmental performance." The winner is determined by a majority vote of a jury comprised of automotive and environmental experts. 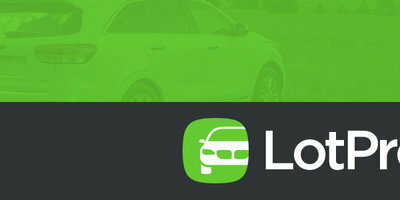 Current jurors include both automotive as well as eco-conscious luminaries such as Jean-Michael Cousteau, President of Ocean Futures Society, Dr. Alan Lloyd, President Emeritus of the International Council on Clean Transportation, Mindy Lubber, President of CERES and celebrity auto enthusiast Jay Leno. 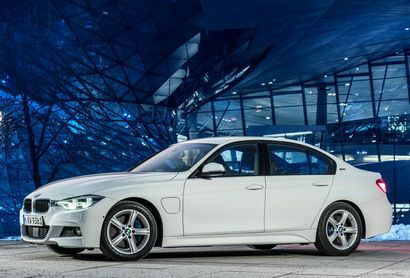 "The BMW 330e iPerformance accelerates from 0-60 mph in 5.9 seconds and reaches a top speed of 140 mph. Pure-electric driving is possible at speeds up to 75 mph with a range of approximately 14 miles and combined fuel efficiency of 71 MPGe when driving on batteries." "(The Chevrolet Bolt) features an array of advanced connected technologies designed to enhance and personalize the driving experience. A Regen on Demand feature allows the driver to use a steering wheel paddle to initiate more aggressive regenerative braking to slow down without using the brake pedal, while transferring electrical energy back to the battery." "This innovative (Chrysler Pacifica) minivan also offers the first-ever plug-in hybrid in its class, delivering outstanding 80 MPGe efficiency, a 30-mile electric driving range, and a total driving range of 530 miles with combined battery power and its V6 powertrain. 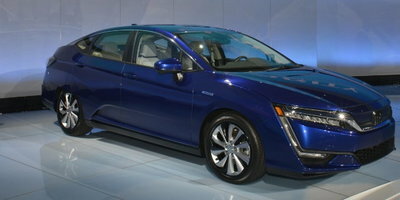 The plug-in hybrid model may be conveniently charged in as little as two hours with an available 240v charger." 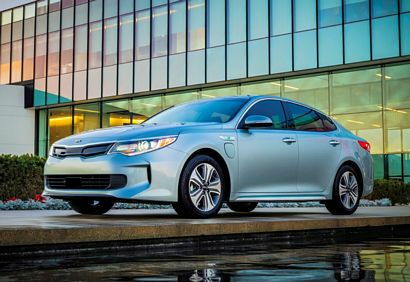 "The 2017 Optima Hybrid and Plug-in Hybrid are new additions that intelligently combine an electric motor and a new 2.0-liter, GDI 4-cylinder gas engine for welcome fuel efficiency and a satisfying driving experience. 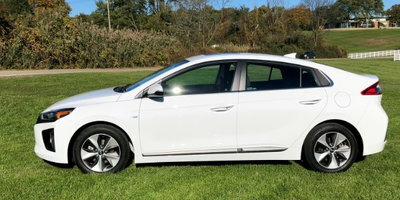 The Plug-in Hybrid uses a larger battery pack than the standard hybrid to allow up to 27 miles of all-electric driving before the plug-in model reverts back into its efficient hybrid mode." 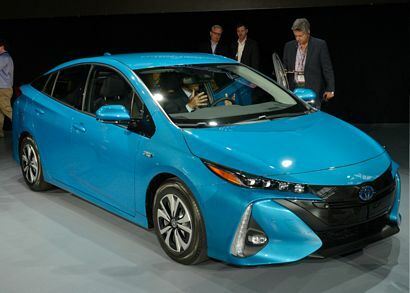 "It retains the distinctive silhouette of the latest-generation Prius and adds unique exterior styling cues to set the model apart. Inside, the Prius Prime is also distinguished with an 11.6 -inch touchscreen display." The 2017 Green Car of the Year winner will be announced at AutoMobility LA the morning of November 17th, 2015 at 8:25 a.m. PST.